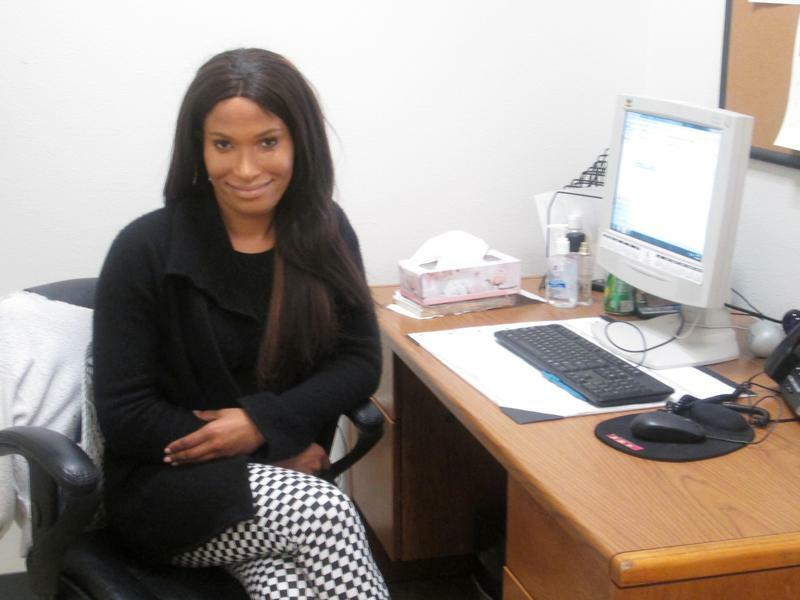 Selene Cummings, 26, started the process of transitioning in her early 20s. Here, she sits on the back porch of her home in Windham. After the hurdle of coming out to her family, Cummings told me her struggles are basically the same as any other millennial's. We talk more about dating, job searching and paying off student loans more than gender politics. “This is the progesterone,” she says, showing me the inside of a pill canister. "That's the estrogen. There you go, a little green one, a little white one. And that's it,” she explains. Cummings says she can get her prescriptions filled at any pharmacy, making it easier for her to get what she needs. “And that's it? That's the only difference between your womanhood and my womanhood?” I ask. “Yeah, pretty much,” she says. Cummings sorts her pills, progesterone and estrogen, out in to daily dosages that she takes each morning. She says she can get the prescriptions filled at any pharmacy. Cummings' middle name is Alice, after her grandmother. She says her grandmother was the one who helped her family better understand and accept Selene's transition. Cummings acknowledges her experience may be different than other people transitioning. She says about half of transgender people have reported being kicked out of their house after they came out to their family. But, despite transgender issues coming to the forefront of the news cycle and political agenda, Cummings says she's just trying to figure out who she is, like everyone else. Her rural life does present one unique challenge — the hour and half drive to see her doctor at the Dartmouth-Hitchcock Transgender Clinic in Lebanon, New Hampshire. Dr. John Turco, an endocrinologist, started the clinic. He remembers treating a woman in the early 80s named Trisha who came from rural New Hampshire — the first person he helped transition. And Turco says medical care has come a long way since then. While it's difficult to know exactly how many people are transgender, Dr. Turco says it is likely about one in 100 in the general population. Over the last 30 years, Turco says he has helped hundreds transition. “We talk about this rural situation and some people can say, 'Well, fortunately this is not an issue in our area because we don't have any transgender,’" Turco says. "I mean, there are transgender individuals everywhere." "I think depending upon their sense of whether it's safe for them to come out is whether or not they're going to be visible," he says. This month, the surgeons, endocrinologists, social workers and administrators at Dartmouth Hitchcock are coming together to better consolidate care for transgender people in Vermont and New Hampshire.